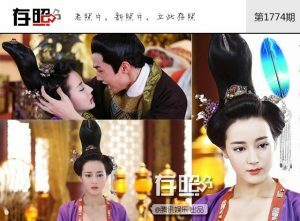 Guan Xiaotong’s (关晓彤) strange hairstyles in the Chinese historical drama Untouchable Lovers <凤囚凰> has started a widespread discussion about the questionable hairstyles and wigs that many actresses had to endure for their roles in historical palace dramas. Guan Xiaotong as Liu Chuyu in “Untouchable Lovers” (2018). 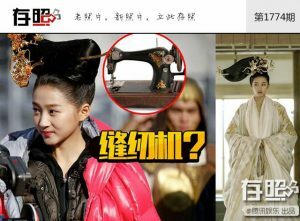 One of Guan Xiaotong’s hairstyles in Untouchable Lovers, for example, reminded viewers of a sewing machine. 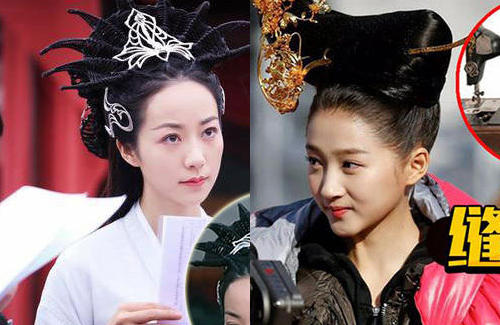 Dilireba (迪丽热巴) looked like she was wearing a tall lightning conductor for one of her looks in 2014’s Cosmetology High <美人制造>. 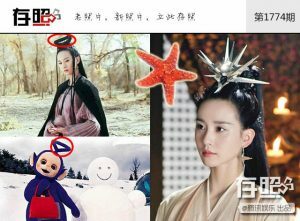 Cecilia Liu’s (刘诗诗) triangular wig in 2017’s Lost Love in Times <醉玲珑> looked like she was trying to cosplay Tinky Winky from Teletubbies. Cecilia Han as Tao Yao in “Lost Love in Times” (2017). An even stranger look was Cecilia Han’s (韩雪) “witch wig” in Lost Love in Times, which reminded viewers of a large crab. 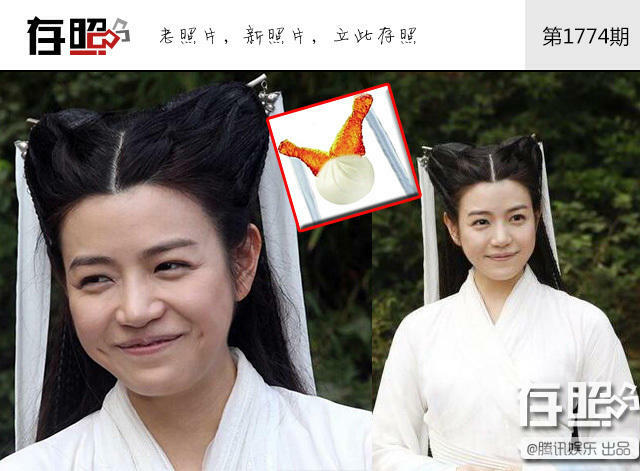 Michelle Chen’s (陳妍希) Xiaolongnü wig in 2014’s The Romance of the Condor Heroes <神雕侠侣> had some historical basis, but it definitely didn’t fit with Michelle’s facial structure at all. It also didn’t help that Michelle was already criticized for not being beautiful enough for the iconic role. 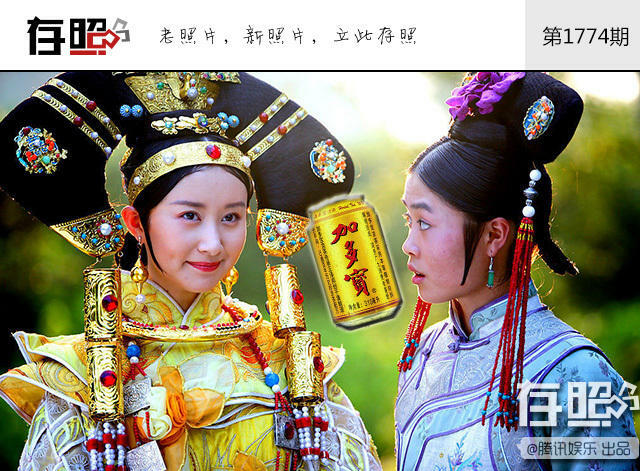 Shu Chang as Princess Jianning in “Royal Tramp” (2008). The two “wheels” that Ada Liu (柳岩) had to wear for The Four II <四大名捕2> was poked fun by many audiences, and Shu Chang’s (舒暢) sparkly and golden Princess Jianning look in 2008’s Royal Tramp <鹿鼎记> reminded viewers of a can of JDB beverage. 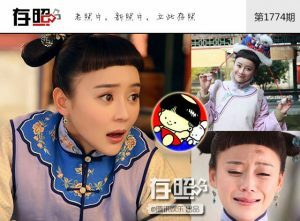 Yuan Shanshan’s (袁姍姍) mushroom cut in the critically-panned Palace 3: The Lost Daughter <宫锁连城> only made the show even more unforgivable. Even TVB dramas were not spared of the spitfire. 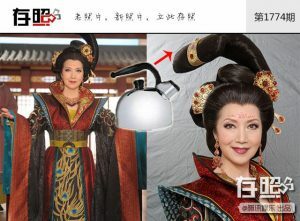 Netizens pointed out that Susan Tse’s (謝雪心) wig as Empress Dowager Guo in 2009’s Beyond the Realm of Conscience <宮心計> was probably inspired by a tea kettle. What are some other weird hairstyles that you have in mind? omg YSS’s hairstyle looks awful lol. 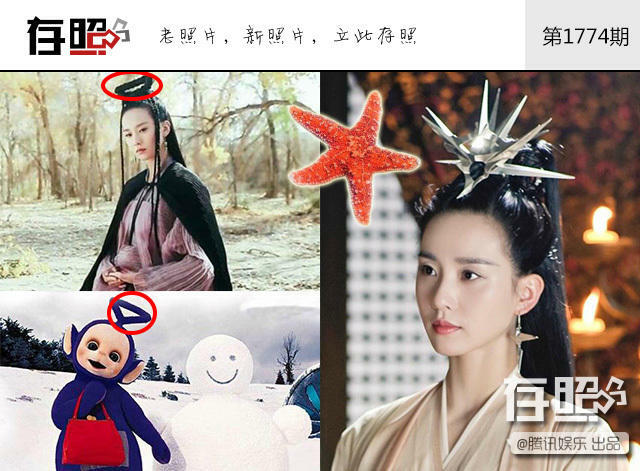 I think Chinese producers should put more of their budget/effort towards improving their story telling rather then lavish costumes and hiring crappy actors. @mimi8 Heard a news China do not allow two expensive actors together now. Really ridiculous. So far there is only 1 terrible drama with a very very expensive actress, the rule should not apply to everyone else. 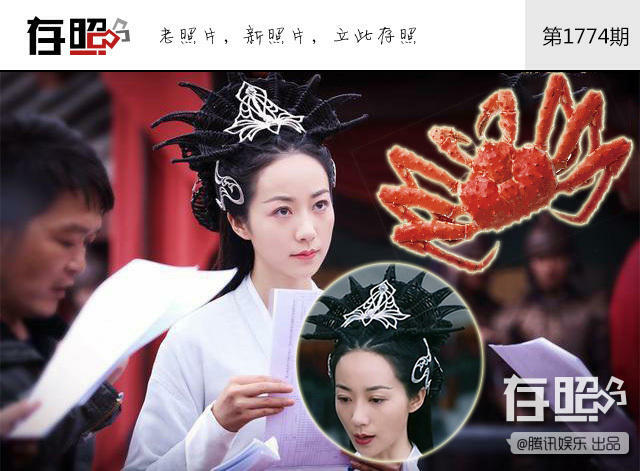 There are many bad dramas this year too but the actors were not that unreasonably expensive. @davy The problem is popular actors get paid waaaaaaaaay more than should be making leaving no budget for other departments like editing, cgi, script, BHS people, etc and young audiences don’t give a crap how crappy dramas/films are now because they just want to see their idol. No one cares about quality anymore. I actually think it’s a good thing the government set a salary cap how much actors can be making. it’s ridiculous how much $$$$ they can earn. I agree that many fans just want to see their favorite actor/actress but it is not true that they do not care for quality. Many do even if they like the cast. It is not true all of the budget goes to their salary. You have not watched enough China series to make that assumption. @davy wow okay but it’s makes sense to limit it since most of the times some actor/actress goes overboard with the requested salary and which drama had the overly expensive actress? There is way more to any series rather than just the cast. Where did you hear this from? I have never heard of this news. I always see several good actors together in a series. That is the producer’s job not the director’s responsibility. Many actors in China were trained to act unlike the TVB artists that have little to no acting experience or training. @hetieshou I meant producer. Not all leads has acting experience/training most are just because they’re idols or has pretty face many Chinese even SK cast some people repeatedly not because they can act. Out of all, Yuan Shan Shan’s mushroom head was the funniest one ever, there was a scene of her spitting out blood too, that was unexpectingly hilarious. The rest were only kind of weird, but YSS hair was undeniably unforgivable for a main lead. Some of the hairstyles depicted here might look weird and ridiculous. But, they do have some basis in history base on the art in this website. the hair designers took liberties with the historic hairstyles and made them into weird creations. @mangotango Stylists probably use a foam sponge then wrap hair around it for height. They got carried away with using odd-shaped sponges for some of the hairstyles though. Still laughing at Susan Tse’s “kettle” hair; what a strange choice.